Managerless Swansea will welcome in the new year bottom of the Premier League after Bournemouth completed a comfortable 3-0 victory at the Liberty Stadium. Benik Afobe and Ryan Fraser scored first-half goals before substitute Josh King added the gloss two minutes from time. The Cherries inflicted a fourth successive defeat on Swansea who face a huge task to avoid the drop in 2017. Swansea hope to have a new manager in charge for Tuesday's trip to Crystal Palace - former Derby boss and current Bayern Munich assistant Paul Clement is the favourite - but it will need some rescue act to prolong the club's top-flight stay. Having sacked Bob Bradley after the Boxing Day drubbing by West Ham, Swansea were looking for an immediate lift under the caretaker charge of Alan Curtis. Hull's draw with Everton on Friday night had dropped the Welsh side to the foot of the table. It is not an unfamiliar task for club stalwart Curtis, who has held the fort in the past when times have been challenging, but Swansea have never had it so bad in the Premier League with only 12 points at the halfway point of the season. For Bournemouth, however, it is indeed a happy new year with Eddie Howe's easy-on-the-eye Cherries greeting 2017 in 10th place on 24 points and looking upwards, rather than below. 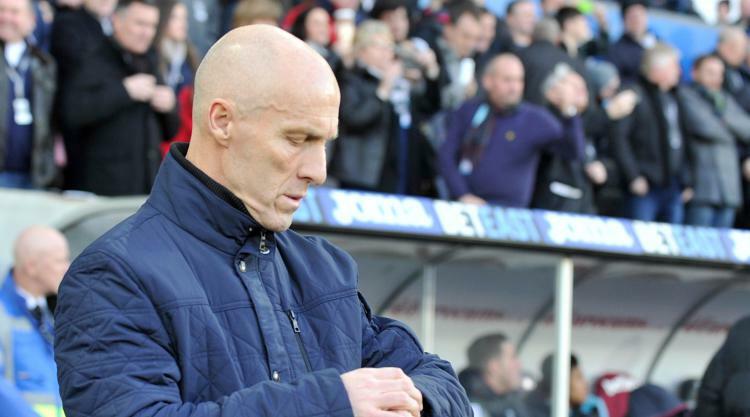 Curtis made seven changes from Bradley's final team selection and, with the toxic atmosphere of Boxing Day having gone with the American, it seemed as if he had addressed one of the problems inside 30 seconds. Swansea have regularly been accused of being too nice and not getting in the faces of opponents, but Ki Sung-yeung was booked inside 30 seconds for felling Fraser. But Swansea's customary failings were still evident, as they were easily bypassed in midfield and their soft centre of a defence proved unable to withstand pressure when it was applied. Bournemouth were enjoying time and space in possession with the on-loan Jack Wilshere the heartbeat of a midfield which took a firm grip on proceedings. Junior Stanislas had an early sighter which Lukasz Fabianski tipped over, but Bournemouth did not have to wait long for the lead with Swansea contributing to their downfall after 27 minutes. Afobe shook off the attention of Alfie Mawson far too easily and Wilshere's pass to Fraser sounded panic stations in Swansea ranks as Jordi Amat turned the Scot's cross goalwards. Fabianski produced an excellent point-blank to prevent an own goal, but Afobe was the first to react and strike the rebound home. Amat's embarrassment was compounded by a booking which rules him out of the Crystal Palace game, and there was was more misery for the Spaniard and his fellow defenders after Stanislas had seen his effort correctly ruled out for offside. On the stroke of half-time Swansea stood like statues as Stanislas played a one-two with Wilshere and fed the ball across the six-yard box for Fraser to finish for his second goal in four games. By then, Curtis had already introduced the pace of Modou Barrow to sharpen an attack which failed to muster a single on-target attempt in the first half. But Bournemouth were rampant on the counter-attack and Stanislas and Afobe should have extended the lead. However, as Swansea huffed and puffed, King scampered through in the closing stages to secure a scoreline which did not flatter Bournemouth in the slightest.